The Knight Foundation just doled out $2.74 million in grants for local news-focused technology projects that deliver information to specific geographic areas. Topping those grantees is Eric Rodenbeck, founder and creative director of San Francisco-based Stamen Design who won $400,000 for a concept named CityTracking, which will allow users to take city data like crime and traffic numbers and create engaging visualizations that are easy to understand and easy to share. Stamen, whose work we cover here frequently, is the firm behind one of the most famous urban data projects, Crimespotting, which began as an Oakland-based application that turned crime reports into information residents could use. 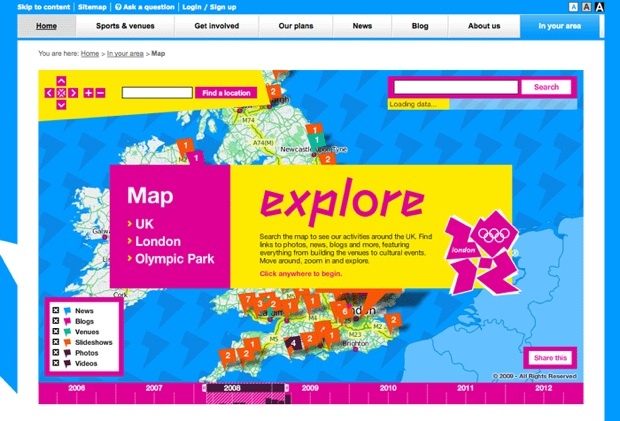 Among their recent work is a customized mapping application for the London Olympics (they couldn’t use Google Maps without a sponsorship deal). 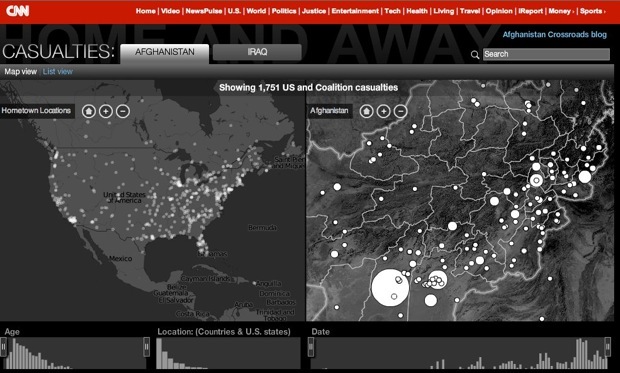 A project for CNN visualized casualties in the Iraq and Afghanistan wars and a real-time Twitter interface for Nike was built for the NBA finals. And let’s not forget how they brought the 2009 MTV Music Awards to life through a massive Twitter-based visualization experience which captured the Kayne “Imma let you finish” moment in real time. To make municipal data easy to understand, CityTracking will allow users to create embeddable data visualizations that are appealing enough to spread virally and that are as easy to share as photos and videos. The dynamic interfaces will be appropriate to each data type, starting with crime and working through 311 calls for service, among others. The creators will use high design standards, making the visuals beautiful as well as useful. I can hardly wait to start working on my personal public transportation routes/ice cream vendors data set.